This article will describe installing Guest Additions on Ubuntu 16.04. This is for improvement of video performance, sharing directory, and sharing copy/paste clip board. There is only 2 resolutions of display like 1024x768 and 800x600 before installing Guest Additions, you can select a certain resolution what you want after installing. Guest Additions has virt drivers. You need to build drivers. Install linux-headers-generic package with apt. If you use RedHat, please install kernel-devel package. Insert iso file of VirtualBox Guest Additions from window menu of VirtualBox. If an automount is running, an automount will mount CD image to /media/<username>/<virtualbox> automatically. If an automount is not running, mount CD image manually. 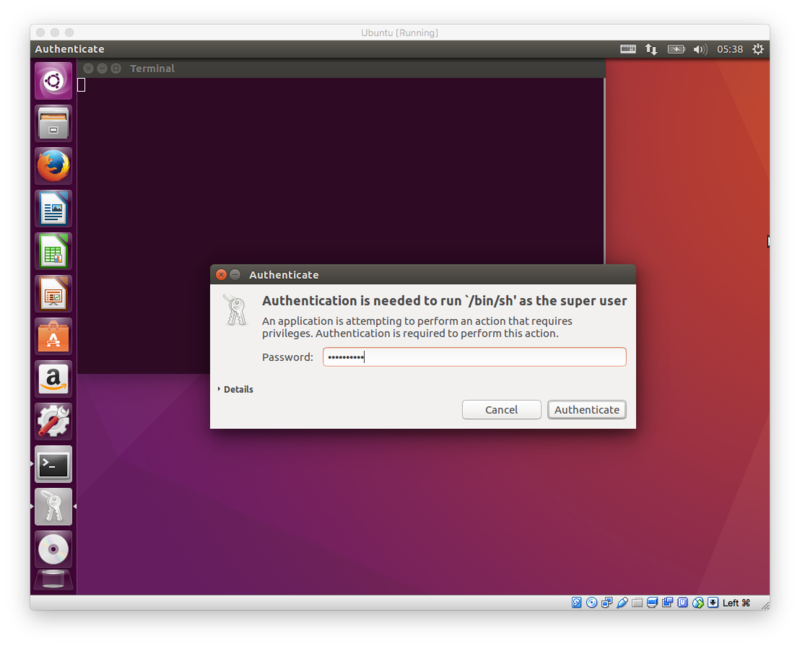 If an automount is running, a dialog will be pop and Selecting "Run" will start to build Guest Additions with sudo password. "Press Return to close this window…" message is displayed when installation is completed. You can start to build Guest Additions from terminal manually. 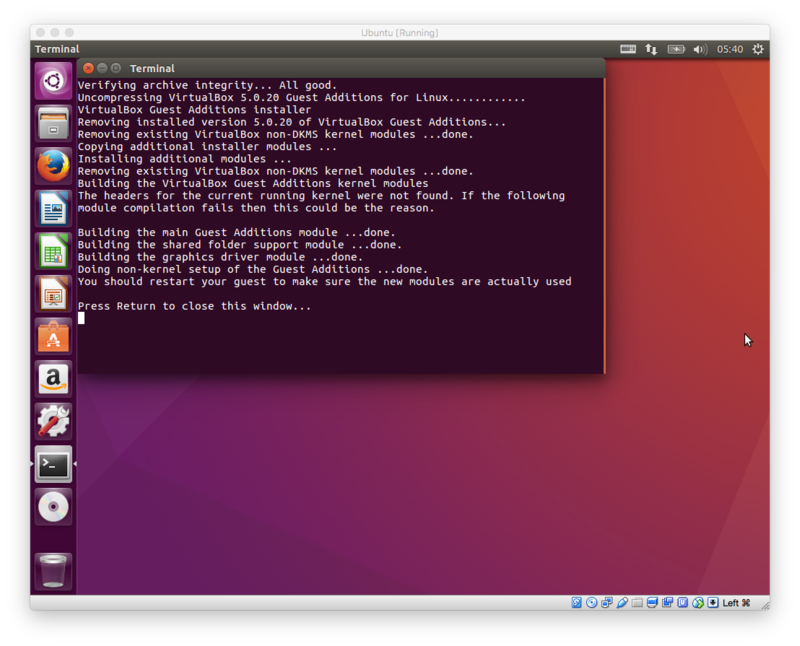 Installing X.Org Server 1.18 modules ...done. Driver code of Guest Additions may be not compatibled with kernel. For example, when a function which is used by Guest Additions is not defined at kernel no longer, undefined symbol error will be occured. Please check update of VirtualBox for fixing error. If you cannot find any update for fixning error, you need to fix driver code manually or wait for update. Current Guest Additions's driver supports dkms and driver will be built after kernel update automatically. You do not need to rebuild driver for each update. Guest Additions does not work after kernel update, it means that there is a compatible problem. Please build drive manually and check update for fixing it. Restart Ubuntu 16.04 after installation is completed. Check whether driver which has a vbox prefix is loaded. Resolution number of display is changed 2 kinds to all. 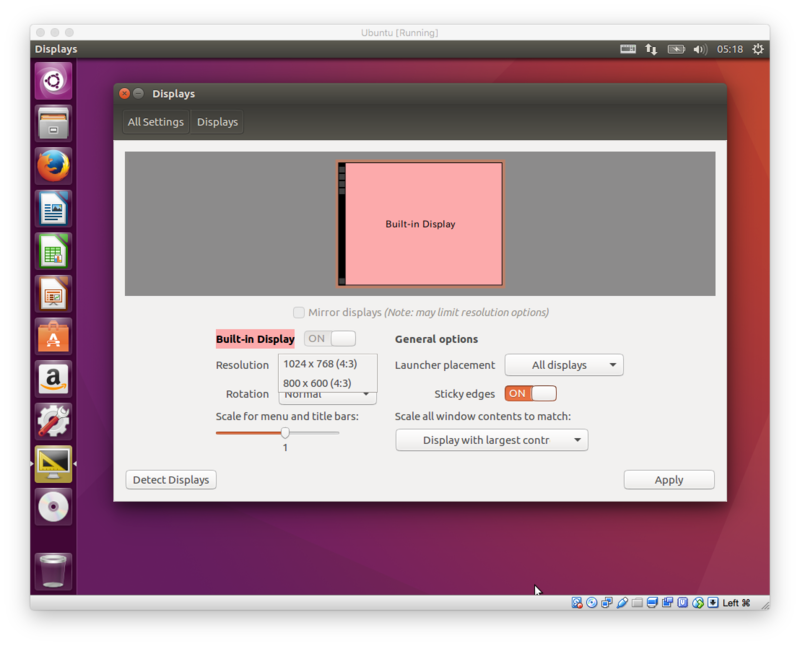 When you change VirtualBox window size, a resolution of Ubuntu 16.04 will be chagned automatically.